SPACE FX is an animation program used to generate a series of 320x200 or 320x240 true-colour 24-bit TGA files suitable for conversion to FLIC, AVI, MPEG animations or GIF images. SPACE FX Version 4.0 is here. Download Linux or WIN9x/Xp Beta version now! 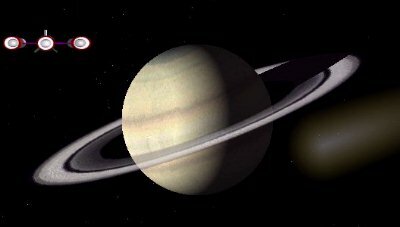 (up to 1024x768, plus 32 planets/moons and RINGS! see illustration). SPACE FX allows every man and his dog to make up realistic "outer space" type animations using real images of planets, moons and spacecraft. This can be used for a neat intro to your own program or for educational purposes. Why not use it to generate a nifty image for your web page? 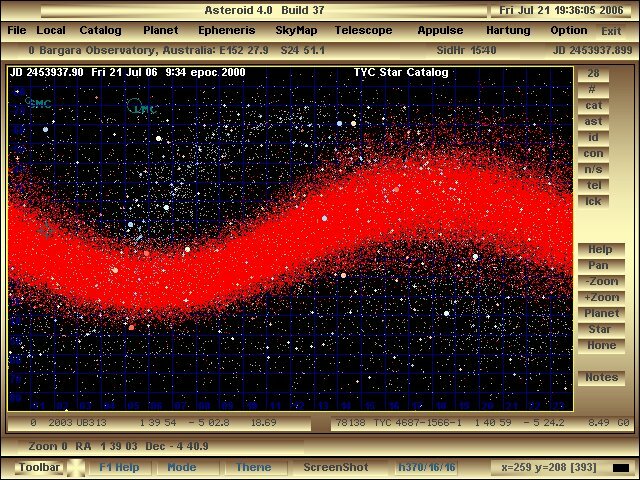 ASTEROID is a Linux and WIN9x program to locate asteroids in the night sky. The version available now for download is the Alpha release 4.0 of the freeware version. For more details, see the ASTEROID Page. Sorry, astronomy links went missing when my hard disc crashed! For further information about my work or the items mentioned above, please email me! The next update of SPACE FX will include the LINUX version and will be uploaded here in Febuary 2008. If you are interested in LINUX please send an email! Since I have only recently installed Fedora 7, I'm still learning how to use it. 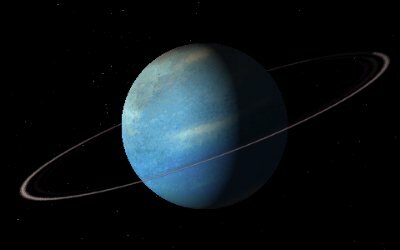 I am a Professional Electrical Engineer and sometime programmer with an interest in animation graphics, raytracing and astronomy. I do most of my programming in C and a little asm when necessary. I have also used Visual Basic and am currently trying out C++. These days I make myself busy looking after my wife and three children who all have chronic asthma and other assorted medical conditions. Check out the alt.support.asthma newsgroup for discussion about this disease. The children do home schooling with the University of Southern Queensland. I am always on the lookout for some part-time work, having worked in the engineering field for nearly 30 years. So if you have a Power station on the blink, an Electric Locomotive that just wont go, or need someone to do a little CAD work on a home computer, give me a call! I'm a member of the Institution of Engineers, Australia. My last employment covered many diverse areas of engineering such as Automated Test Equipment for PCB analysis and Quality Management to AS/ISO/9001,9002. I live on the beautiful Bargara Coast near Bundaberg in sunny Queensland, Australia. This HTML page and all contents, text, graphics etc, is the sole property of Anthony M. Hugo MIEAust CPeng, copyright 1997- 2005. Permission is hereby granted to copy this material for personal use or educational use if the teacher isn't looking. Commercial use by corporate entities, colourful sporting identities and all you rich folks requires specific permission from me. So there! This HTML page contains images directly or indirectly derived from NASA/JPL/Hubble/Telescope/voyager/spacecraft data suitably modified for use in SPACE FX by the author. If you use such material in your own creations, please credit their use in the absence of specific permission. Warbird.gif and xwing.gif derived from scene files at the POVRay web site. Jupiter.gif Sunrise.jpg Spfx.jpg and ship.gif are my fault. Copyright symbols, logos and abbreviations are owned by copyright owners, logo motives & abr. ppl. Whatever happens, happens. But only sometimes! I always wondered whether anybody ever reads the fine print at the bottom of documents like this. My advise is to use an electron microscope. Cheers!